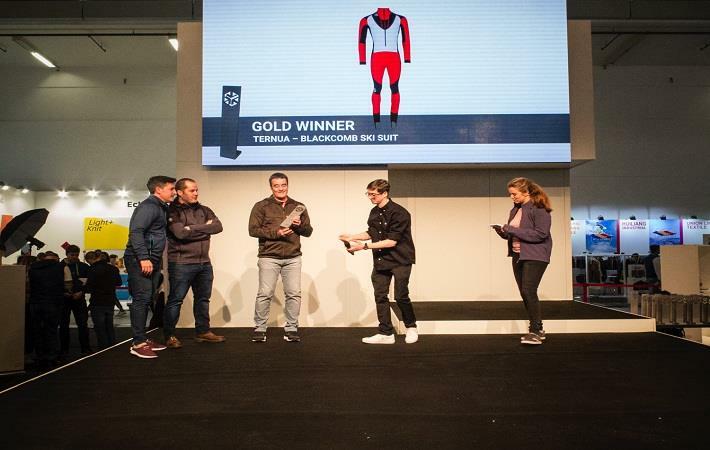 Ternua’s Blackcomb mountain ski suit was chosen as best intermediate layer product in the Snow Sports category at the recently held ISPO Munich trade show. This is the third time Ternua has won this award known as the Oscars of sport. In 2016, the ISPO Gold Award went to its ‘Terranova’ and ‘South River’ jackets and in 2017, it went to its ‘Craddle’ jackets. This time around the jury looked at the Blackcomb ski suits’s design, innovation, functionality and sustainability. The principle characteristic was found to be the high level of sustainable innovation put to use in the product, said a press release by the company. It provides maximum technicity and is made using recycled materials, consisting mostly of disused fishing nets from Cantabria mixed with elastane. When its life cycle is over it can be recycled. The ski suit, intended for mountain skiing, was co-designed by Ternua with top notch athletes who organise the skimo Altitoy trial, which is among the elite runs in the Le Grande Course circuit. Those skiers, who are highly experienced in the subject, have tested the ski suit and included strategic details that make it become a 10/10 garment. The suit is made with Dryshell Active Flex textile, which is a new technology developed by Ternua that is a blend of 65 per cent recycled nylon from disused fishing nets and 35 per cent elastane. The textile provides protection from solar radiation. In addition to a perfect ergonomic design, it has laser cut openings on the back for maximum breathability, two inside breast pockets for carrying an avalanche beacon and an opening on the front at the waist with an elastic clamp. It has reinforcements on the shoulders and inside the legs. It is a product for intense physical activity that has the perfect balance between breathability, lightness and warming capacity. Ternua's Blackcomb mountain ski suit was chosen as best intermediate layer product in the Snow Sports category at the recently held ISPO Munich trade show. This is the third time Ternua has won this award known as the Oscars of sport. In 2016, the ISPO Gold Award went to its 'Terranova' and 'South River' jackets and in 2017, it went to its 'Craddle' jackets.